Nominations of Aerie officers are held at the last meeting in April. Elections of Aerie officers are held at the first meeting in May. 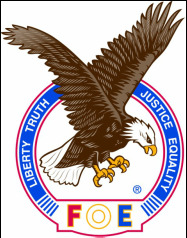 Nominations of Eagle Riders officers are accepted in November for the coming year. 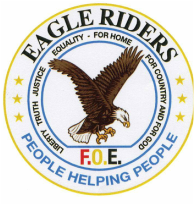 Elections of Eagle Riders officers are held in December. New Eagle Riders officers are installed in January to their new positions. 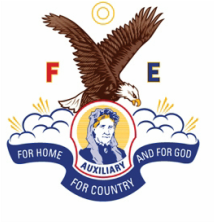 Nominations of Retired Eagles Activity Club officers are accepted in November for the coming year. Elections of Retired Eagles Activity Club officers are held in December. New Retired Eagles Activity Club officers are installed in January. ﻿Questions about the JOES? See Lisa Ochalek, Jim Shrove, or Toni Watkins.